On Saturday, December 13th at the USATF Junior National Cross Country Championships in North Carolina, Sean Michael Kay was 12/362, boys aged 11-12, running a 3K in 10:10.64 (5:27.6/pace) and Alexandra Kay was 86/165, girls aged 15-16, running a 5K in 21:11.89, (6:49 pace). Meanwhile in Salem on Sunday, December 14th in the Festivus 5K (NSS VP Rick Johnson is Race Director) , Vanessa Freedman led six Striders across the finish line and captured 2ndplace in her division. Vanessa also teamed up with her dad, Gary, and with Mike Pelletier to form a Coed relay team that finished 6th of 11 coed teams. 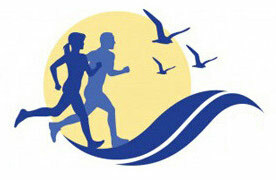 Next up is the Run a Latke 5K in Swampscott at 10 am next Sunday. This one features great latkes and a great Race Director: North Shore Strider Allie Vered.